I just found the handy dandy stat thing on Blogger. #2 – Our 24 hour camping trip with a (not really) hilarious video of JoJo getting sand in her eyes. 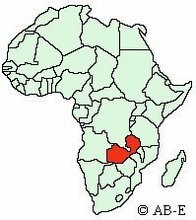 #3 – An old blog on the differences between Zambia and America. And here are the top three traffic sources, giving back to them in publicity the people they have given to us! So, there it is... Thanks for supporting us all these years!